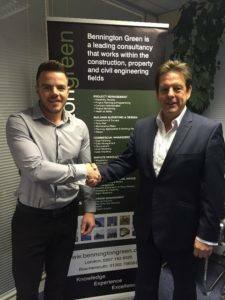 Bennington Green are delighted to welcome Theo Palmer a Graduate Building Surveyor to the team. Theo has joined after recently completing his Honours Degree at Plymouth University in Building Surveying and the Environment. Prior to joining the professional side of the construction industry Theo worked for a major local contractor on site, gaining valuable experience. Nigel Soloman MD of Bennington Green said: “We are excited to have Theo onboard and are sure that his experience to date will allow him to be an asset to the team”.